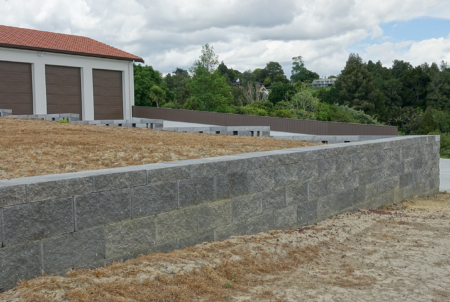 The Rocklok® segmental concrete block retaining wall system has been proudly developed in New Zealand in conjunction with engineers to meet the demands found in this highly active seismic region. Rocklok provides superior strength and performance, with a stronger pin-block connection and trench system, allowing a positive connection between the geogrid and steel reinforcement. This system also allows near vertical walls to be constructed and for high load environments. 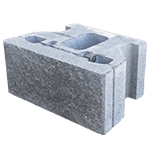 This fully engineered system is ideal for bridge abutments, wing walls and large retaining walls. The positive connection system provides extra performance and safety when critical loads are present while still providing an aesthetically attractive finish. 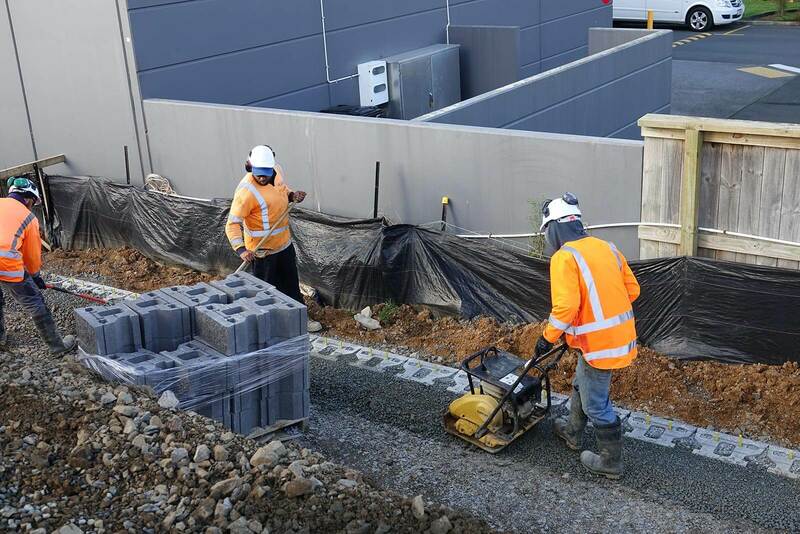 The Rocklok system is designed to work in conjunction with the StrataGrid® high performance PET geogrids. 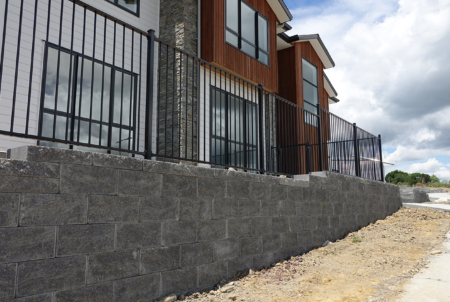 Together Rocklok and StrataGrid products provide a positive connection using the unique locking trench and bar system. The Rocklok is also designed in conjunction with Cirtex® steel ladder systems for applications where inextensible reinforcement is required such as bridge abutment applications and similar. Please consult with your local council for site requirements and regulations before the construction of your wall. 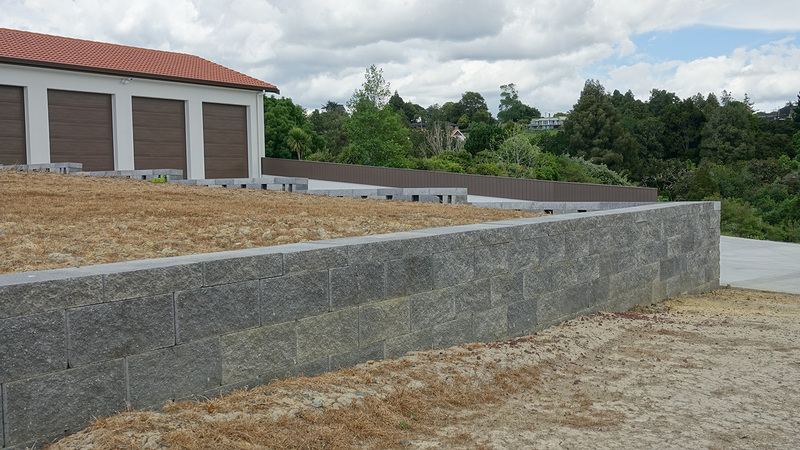 For retaining walls exceeding 900mm, or supporting additional loads, slopes, etc., engineering advice should be sought. Contact us for advice. Rocklok® is a Registered Trademark of Allan Block Corporation registered in the United States. What is the minimum recommended width of the base trench? The minimum recommended width is 600mm. What materials are recommended for the levelling pad? GAP 20 or GAP 40 are probably the best options. Otherwise, use non-cohesive compactible gravel with less than 5% passing the #200 sieve, and a particle size of no more than 40mm. 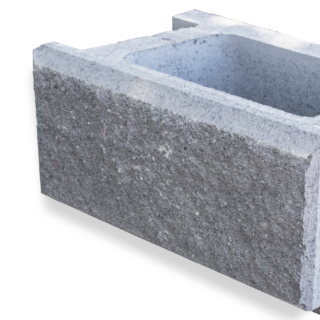 How many Rocklok blocks should be buried as embedment? 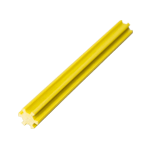 The minimum embedment is 150mm. However, it is easier when constructing to use a minimum of 200mm, which is the height of the Rocklok units. This minimum embedment applies to retaining walls with a total wall height of 1.8m. 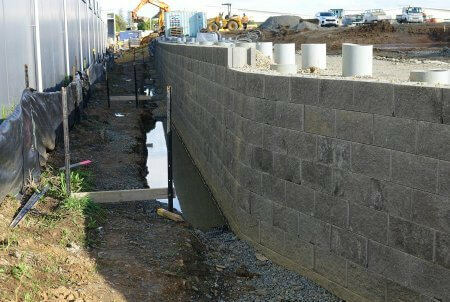 For example, the embedment depth of a 3m high retaining wall would be 3.0/8 = 0.375m. 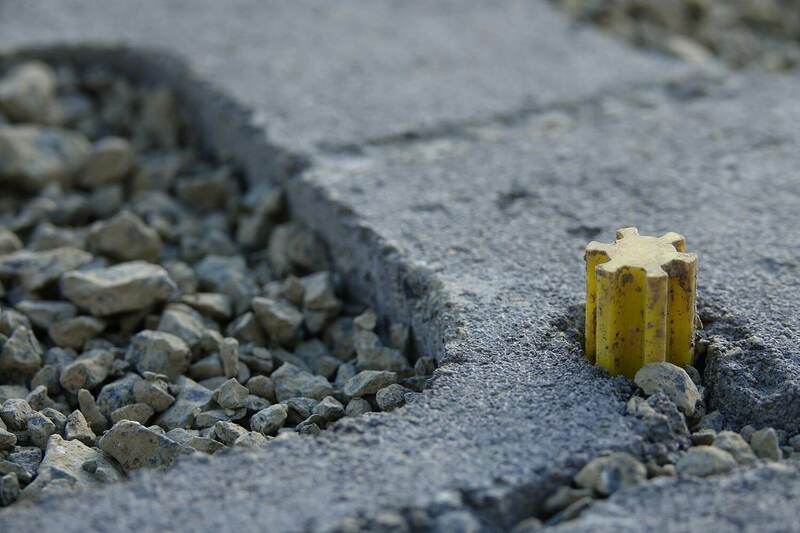 Note: Unless specified by a chartered professional engineer, the embedment depth is to a maximum of 0.6m (three blocks). Poor soils, toe slopes, or seismically active areas may require extra embedment. I am building on a slope. 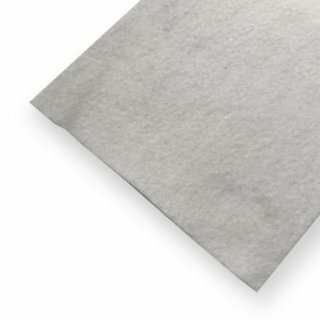 Can I use the standard embedment depth? No. 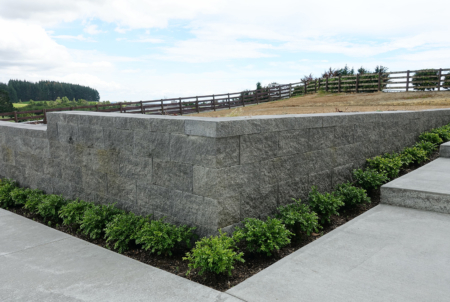 Normally walls built on slopes or with toe-slopes require additional buried blocks. Typically, the minimum distance between the face of the first Rocklok block and daylight should be at least 1.5m (minimum bench). 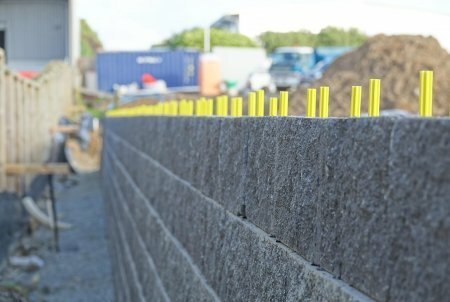 For example, the necessary embedment of a Rocklok retaining wall with a 3H:1V (Run:Rise) slope in front of the wall would require 0.5m (2.5 blocks). Can I replace the Rocklok fibreglass pins for other pins or equivalent products? No. 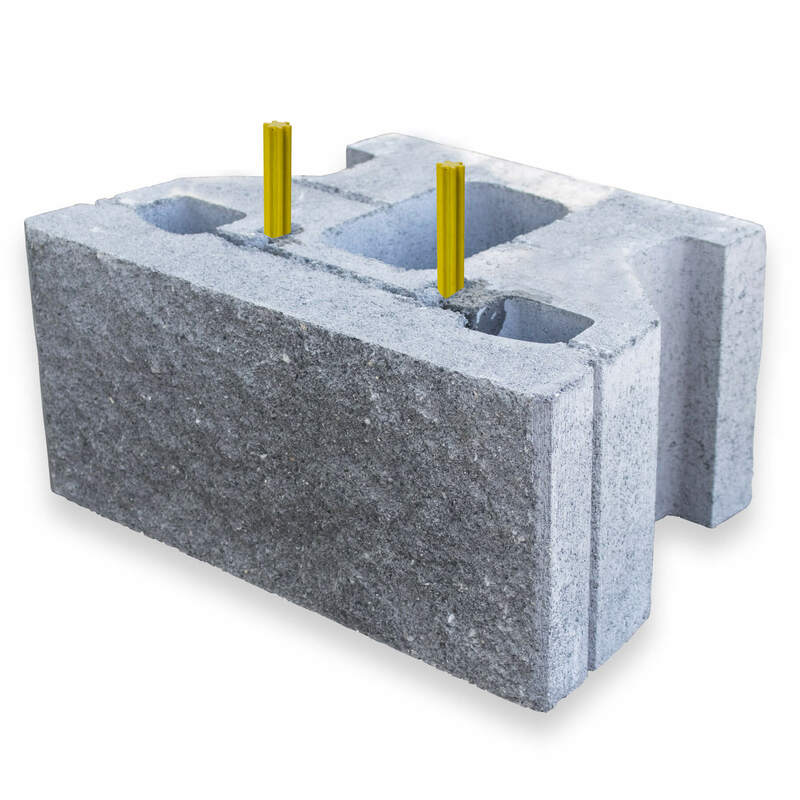 The pins and the Rocklok blocks are part of a system and used in combination. The pins are not interchangeable with similar products or components from other retaining systems. 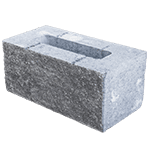 Cost, performance, and safety may be affected by the use of elements not certified by Cirtex Industries Ltd.
What type of soil should be used inside the Rocklok blocks and in the drainage column? Non-cohesive clean gravels such as drainage metal 25/7, 20/6, or similar aggregates are the suggested materials to be placed inside the Rocklok open cavities, in the gaps between units, behind the units, and in the drainage column. 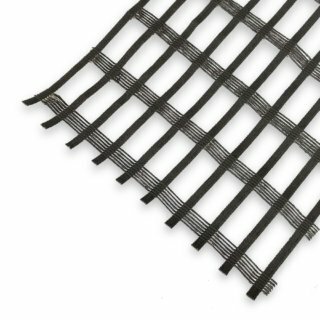 Provide direct interlocking between the Rocklok units and the reinforcement geogrid. Some contractors might prefer to use scoria. 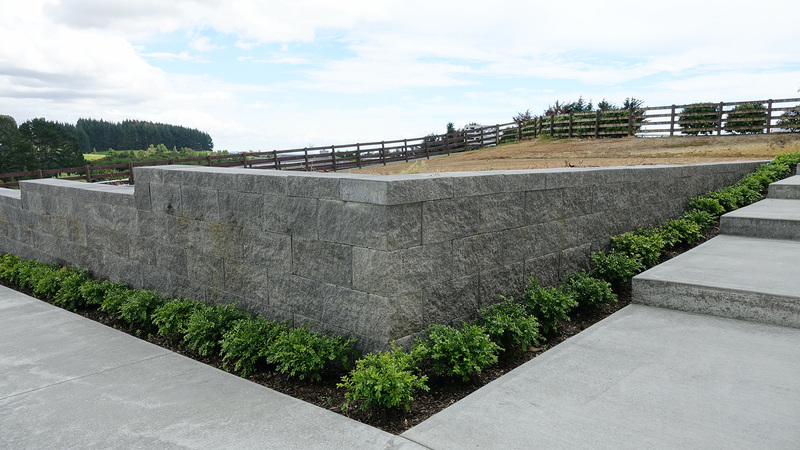 Scoria is a suitable material that provides the drainage capacity. 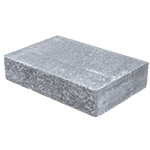 However, it is a very light aggregate, and it does not help to increase the structural stability of the Rocklok units by expanding the system weight as drainage metal does. Note: It is recommended to avoid the use of rounded rocks like pebbles. When do I start placing the geogrid reinforcement? The geogrid reinforcement placement should begin on top of the first course (buried block) and continue every 400mm high (two blocks) until the top of the wall. What is the suggested distance between terraced gravity walls to act as independent structures? 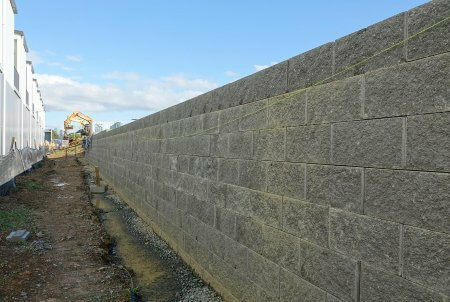 As a rule of thumb, for the gravity walls to act as independent structures the recommended distance (wall face to wall face) has to be at least a distance twice the height of the lower retaining wall. Note: This rule assumes the walls do not have back or toe slopes and that they are built in suitable ground as defined in NZS 3604:2011. 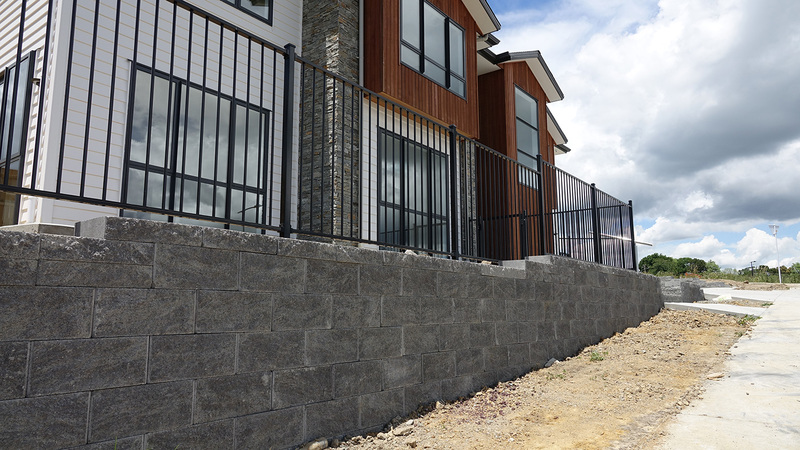 Terraced walls closer than twice the height of the first wall should be evaluated by a chartered professional engineer.